A few years ago, I had a lifelong dream come true. For myself, the ocean has always been at the core of my heart and soul. As a child, I yearned to be “clean” from the abuse going on within my home. Years later, as an adult, I learned that at God’s Ocean I always felt washed and renewed from the inside… out… each and every time I visited this magical place. It became my church, so to speak. I smile a great deal; everyone tells me that. So, when folks from all walks of life, (including one of my own children), started telling me that my ever present smile reminded them of a Dolphin… I took it as the greatest of compliments. “Perma Grin” is not such a bad place to be in your heart. When I got in the water with these magnificent creatures, recently…I am quite sure they were welcoming me home. Afterall, we were kindred spirits. I visit my own Georgia Atlantic Coast, Tybee Island, as often as possible. 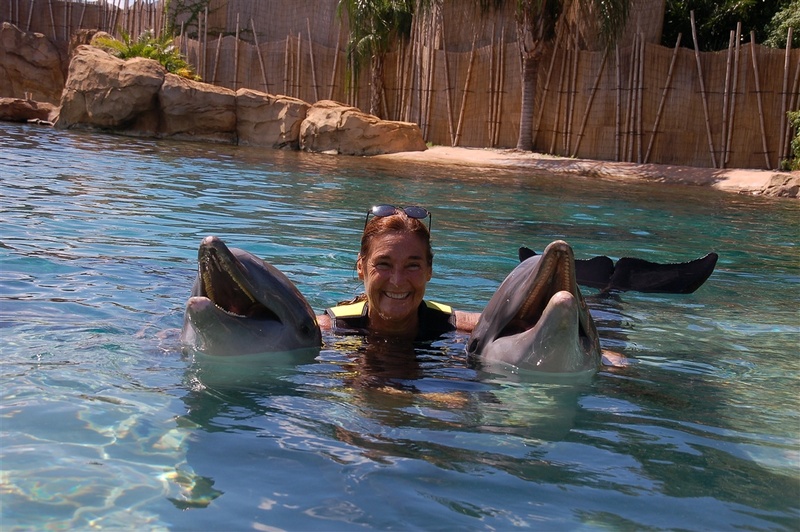 Yes, it would be daily, but life gets in the way with obligations and “must do-s.” Often, I am able to actually swim with the untamed dolphins only an arm’s length away. They really do seem to be welcoming me. It becomes more and more apparent that one day I will indeed become one with the ocean. Happily, I am working towards a time when that dream becomes a reality. Here’s grinning at you, Kids! Happy Independence Day and all the Blessings that brings. Forgiveness… is a gift we can give ourselves! Forgiving someone who has wronged us is not so easy. However, it is ultimately healing and the only way to move on from the abuse or injustice that has been done to us. This goes for any type of abuse: physical, emotional, verbal, or sexual. I am convinced of that fact; I also practice it. We are always “abused children” but we need not be abused adolescents or adults. If we dwell on what has been done “to us” in our lifetime rather than what we can “do for ourselves” we are powerless and don’t heal from the inside out. Rather, we are merely putting a scab on a wound that might, at any time, be ripped open. This is not in any way suggesting that we continue to keep the abuser(s) in our day to day life, but rather distance ourselves with a quiet dignity. If it is meant to be, in time…a relationship might take place, but only if the “offender” has been rehabilitated. Again, this goes for all types of abuse and all personal injuries that are done “to” us. WE ARE NOT PRODUCTS OF WHAT HAS BEEN DONE TO US…RATHER WE ARE PRODUCTS OF WHAT WE HAVE CHOSEN TO DO FOR OURSELVES. God is merciful; let us practice that as well.